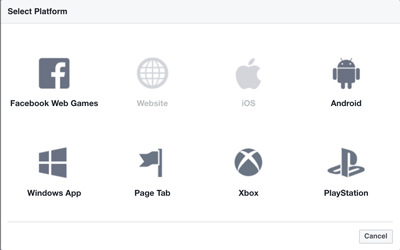 Step by step tutorial on Login with Ionic 3 and Cordova Native Facebook Connect Plugin. To setup Facebook App and get an App ID/Secret, go to Facebook Developers Dashboard. Login with your Facebook developers account. Click `+ Add a New App` button. Enter display name then click `Create App ID` button. Now, you can see App ID and Secret, write it to your notepad. 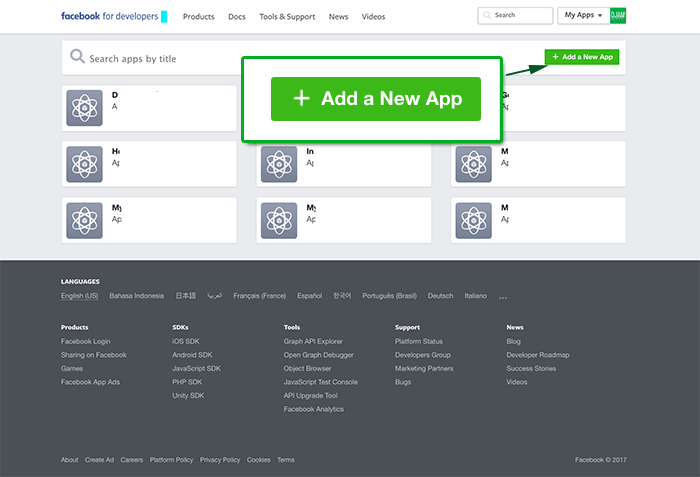 Next, click `Choose Platform` button. Choose iOS first then on the iOS wizard scroll down to bottom to enter iOS bundle ID that will supply on `config.xml` later. Click next then scroll down and back to App dashboard. Click again `Add Platform` on the Settings menu for setup Android App. Choose Android, fill the Google Package Name then click Save Changes button. 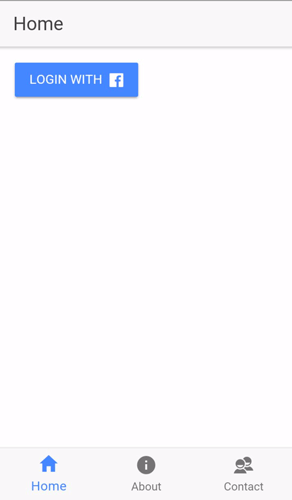 One more thing for Android app, it needs key hashes. To get the key hashes, especially in development build open the terminal or command line then type this command. It will display something like this. You just need to convert SHA1 hex to be base64 characters. We are using this tools for converting it. Just copy and paste SHA1 value that displayed on the terminal to hex string on that site then click the convert button. Now, you get the base64 value that will be copied to Facebook Android app key hashes. Finally, click again Save Changes button. Open the terminal or Node command line then go to your projects folder. Type this command to create a new Ionic 3 app. 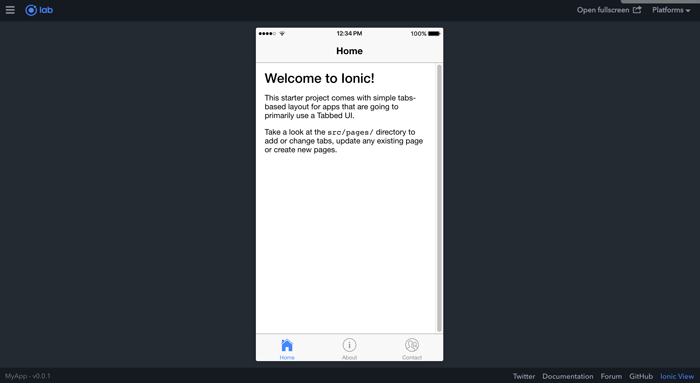 That command will create a new Ionic 3 app using the app name `ionic-facebook` and use tabs view template. Just wait few minutes because it also installs `npm` modules. Now, go to your newly created project. To check make sure app working, just type this command. You will this page if the Ionic 3 app working. Don't forget to change App ID by open and edit `config.xml` then change this line. To install Ionic 3 native Facebook plugin, type this command on the terminal or Node command line after stopping running Ionic app by press `Ctrl+C`. 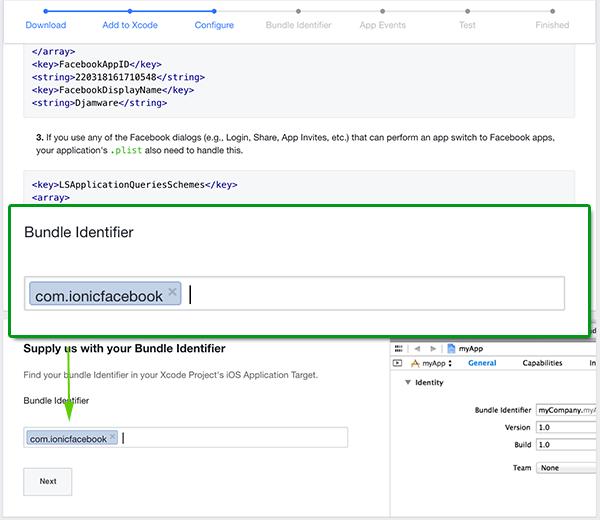 ionic cordova plugin add cordova-plugin-facebook4 --variable APP_ID="YOUR_APP_ID" --variable APP_NAME="YOUR_APP_NAME"
`YOUR_APP_ID` is the App ID that you write on previous Facebook setup and `YOUR_APP_NAME` is display name on Facebook App Dashboard. Also, install `npm` module for it. Also, declare in `@NgModule` providers, so it will look like this. Our scenario to implements Facebook login and logout is added Facebook users in the current page if the user logged in using Facebook or show Facebook Login Button. If click on Facebook login button, it will open Facebook login in the browser. Now, open and edit `src/pages/home.ts` then add this import. Declare variables to check if the user logged in and holds user data before the constructor. Inject Facebook plugin in the constructor add Facebook Connect method to check if the user is logged in. Add method for Facebook login after the constructor. Add Facebook Graph API call method for getting user info. For more information about permissions and fields that returned from the response, you can check on https://developers.facebook.com/docs/facebook-login/permissions/Facebook Developer Documentation. Notes: The allowed fields based on permissions. Next, open and edit `src/pages/home/home.html` then replace all HTML tags with this. This Ionic 3 native Facebook plugin is run only on the Android or iOS device. So, prepare the Android or iOS device and connect it to your Computer using a data cable. To make sure Android or iOS platform installed correctly run this command. Now, run the Ionic 3 Cordova Facebook app on the Device. 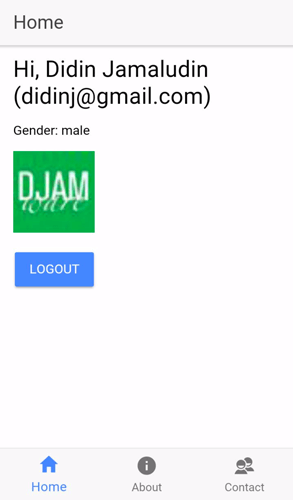 For this tutorial, we run on Android device. You landing to Ionic 3 homepage like this. Tap on the `Login with Facebook` button and you redirected to Facebook permission page then after successful login you will see the home page change to this. That it's. You can test your self on the iOS device, if using simulator there will be an error after login on Facebook via the browser. If you need the source code of this tutorial, you may find on our GitHub.